Join us for a 7 day Viking River Cruise beginning on September 23, 2019 and ending on September 30, 2019 or an 11 day Cruisetour. 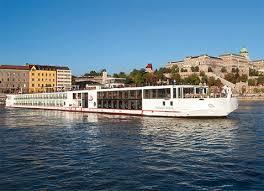 The Cruise has seven guided tours in five countries ~ Romania, Bulgaria, Serbia, Croatia and Hungary! You will have the option of extending the cruise with adventures in Prague, Bucharest and/or Transylvania/Bucharest. Our specials are here to help you save time and money!